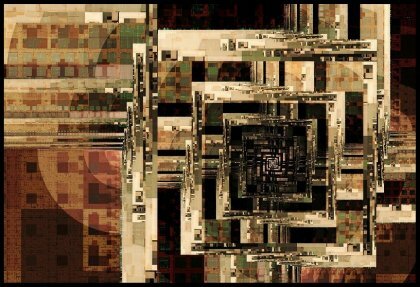 Small extract of the ever-evolving exhibition of Jock Cooper’s Fractal Art. A noteworthy recent addition to the site is the Zoomable Fractal Gallery; an interactive playground that allows one to zoom through six levels in each quadrant of a given fractal image. As always, the newer images are in the highest gallery numbers, and new images are added several times a week. Some (mostly older) images are available as high quality prints on photo paper or posters. If you are interested in an image not available let me know, I can generally add it within a day or two. Please send comments to me at Jock.Cooper@gmail.com . For commercial use please contact brushstrokes@comcast.net .